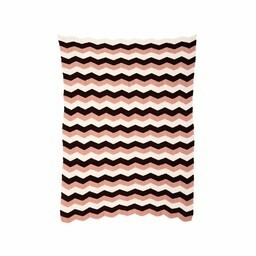 Georgeous jaquard knit blanket with graphic print. Keep you little ones warm with this cotton blanket. 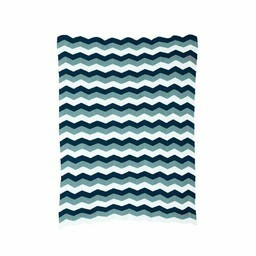 Gorgeous jaqcuard knit blanket with graphic print. We suggest you throw it on your couch, put it on your bed or use it to stay warm on a cool night. Beautiful grey triangles in light and darker grey colour with mustard yellow border. Also available in size 120 x 150 cm. Colours: grey, warm white, yellow. Dimensions: 120 x 150 cm.